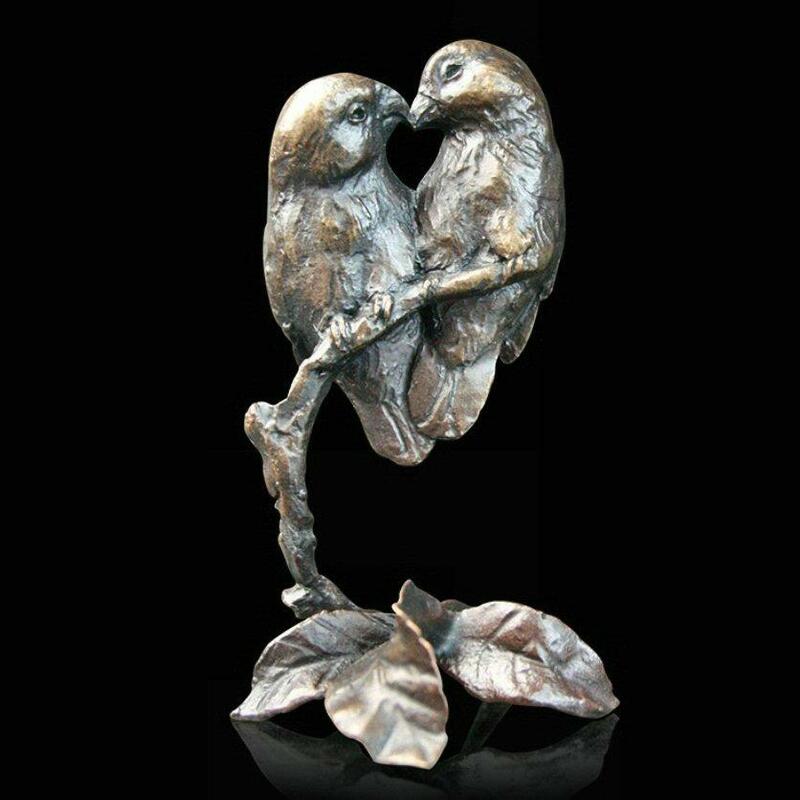 A pair of Lovebirds on a branch in solid bronze by renowned wildlife sculptor Michael Simpson. A small species of African parrot, these adorable birds are social and affectionate and have become synonymous with loving couples. This elegant solid bronze, finely detailed, limited edition sculpture would be the perfect gift for someone you love.